Known for its striking orange, yellow and red hues, nice luster and unique crystal habits, wulfenite is a lead molybdate that is found in the oxidation zone of lead-ore deposits. Wulfenite typically forms thin, tabular crystals and therefore, acquiring a crystal thick enough to fashion into a gem is challenging. 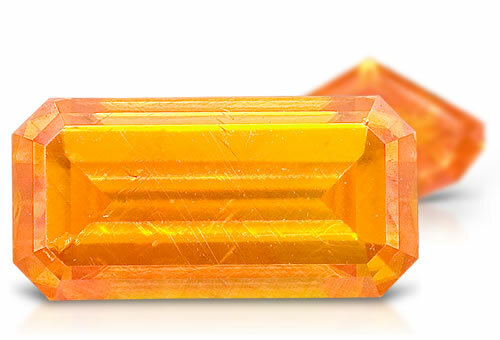 In addition, great care must be taken during the faceting process because wulfenite is a delicate mineral.